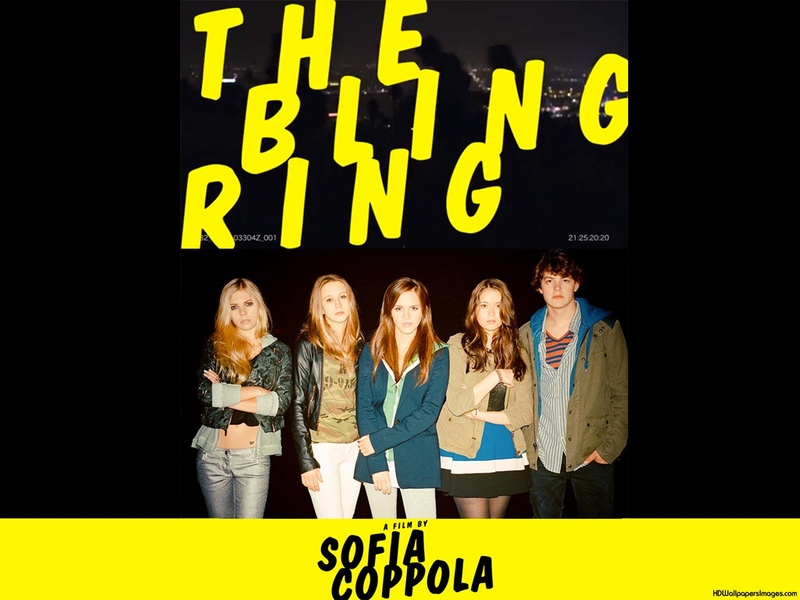 Sofia Coppola’s latest release, ‘The Bling Ring’ is rare gem of contemporary, mainstream cinema- managing to be an unfathomable combination of dull, repetitive and shallow. To successfully squeeze all the aforementioned, undesirable qualities in to the film Coppola has crafted a script equally unimaginative and tedious, in fact a vagrant ape, drunk off White Lightening Cider, would have produced something more intelligible. Terrible in every way, it would be an understatement to say it may be one of the worst films I am yet to have the displeasure of watching. Bar the Oscar winning ‘Lost in Translation’, which plenty of people did dislike, Sofia Coppola’s sporadic output has been disappointing. Her two releases prior to ‘The Bling Ring’ were much maligned- ‘Marie Antoinette’ being an over stylised, long winded bore fest and 2010’s ‘Somewhere’ an exercise in monotony. She may have an Oscar under her belt but Coppola still has some way to go win over many of her critics and this latest offering will provide an abundance of ammunition to her detractors. The basis for ‘The Bling Ring’ was the real life 2009 burglaries of Hollywood’s A-List by a series of fame hungry teenagers, nicknamed ‘The Bling Ring’. Stealing sporadically and selectively the group managed to take over $3 million worth of luxury items before surveillance caught them red handed, notably none of the celebrities victims realised anything was gone until they had been alerted by the police. While a reasonably intriguing tale it lacks the depth or complexity to be the basis for a feature film, that said there have been successful films about far less interesting premises, meaning it was down to Coppola to reimagine the story in an entertaining, film worthy way. Coppola’s choice of approach is to focus on the ideals of being rich and famous through a satirical take on world of celebrity this current age obsesses over. With Harmony Korine’s polarising release early this year, ‘Spring Breakers’, effectively taking a similar approach it boded well for ‘The Bling Ring’. While Korine’s film is so overtly over the top, its satirical take is easy to spot. ‘The Bling Ring’ on the other hand is apathetic in its approach, confusingly composed as to leave the audience scratching their head over whether the film is one big joke or a serious statement about celebrity worship. Moments of supposed humour or satire are lost in their weak delivery, Marc (Israel Broussard) being the embodiment of this muddled direction. The characters are suitably shallow in their tastes but also criminally shallow in personality. While the leading quintet are detestable in every way, presumably purposefully so, they are boring, one dimensional and without any real back story. Attempts at creating a context for the characters is sporadic and ultimately fruitless- for example Marc and Rebecca’s (Katie Chang) relationship, the most prominent in the film, is as much inexplicable as it is uninteresting. All the film’s characters are mind-numbing but it’s Emma Watson who is the worst offender of all. Continuing her trend of playing characters atypical of her real life persona, Watson tries desperately hard to be cool and ‘edgy’, it’s obvious she is trying to escape her Harry Potter years but her performances smack of desperation. Her American accent remains atrocious, only to be surpassed by her appalling acting which is half her fault and half Coppola’s tiresome script and characters. The sooner she realises she isn’t a quirky American teenager the better for all of cinema and mankind. Beyond the fact that a group of teenagers rob rich people’s houses there is nothing to the plot whatsoever. The film just repeats the same scene over and over again; the gang rob a celebrity’s house, scream “No Way!” every time they see a pair Louboutin shoes or a Gucci dress and then leave. Imagine that five times in quick succession, too incredibly boring to contemplate isn’t it? The break ins never vary or attempt to breed an ounce of tension which results in a plot with so little substance it makes ‘The Hungry Caterpillar’ look like Tolstoy’s ‘War and Peace’. Much in the same vein as ‘Marie Antoinette’ , ‘The Bling Ring’ is a shallow exercise in the extravagant, just instead of masquerades as Versailles its selfies, popping thousand dollar champagne and gawping at Chanel dresses. An exercise in pointless, it’s a film that never needed to, or should have been created. So shallow, repetitive and uninteresting is the film that it’s amazing I have found 800 words to write about it. Surely the only people who will enjoy ‘The Bling Ring’ are pretentious film critics, thirteen year old girls and celebrity obsessed morons, for everyone else it would be more enjoyable to beat yourself into a coma for 90 minutes with a Louis Vuitton handbag than to sit through this drivel. If I had to guess – it would be that you did not enjoy this film? I enjoyed the film very much in particular Israel Boussard’s performance. So presumably in your little world that must make me a complete moron? Well thanks for that – I’ll live. It seems you have an idea of how films ‘should be’ and if they don’t fit then they must be abominations that should not be allowed to exist. Haha, I don’t mind different or innovative film but this for me was neither. It was trashy, tedious, one dimensional and ultimately bland. Perhaps it was supposed to be so, being a satirical glance at the world of celebrity and the shallow characters reflected as much. Yet to make a film successful it must be gripping in some capacity, whether it be through narrative, action, drama etc but nothing was gripping in The Bling Ring. At no point in the review did I say how a film should be, look at my review of ‘The Act of Killing’, something completely unique and fascinating as well as very much a break from the traditional cinema mould and I loved it. Its not often I truly despise a film or become so relentlessly bored I even consider sleeping through it but The Bling Ring amazingly did that for me. You and many others will disagree with my review and that’s the joy of cinema, that people form their own opinions on them and here is mine. At least it got you talking and challenging it so I must have written something interesting.